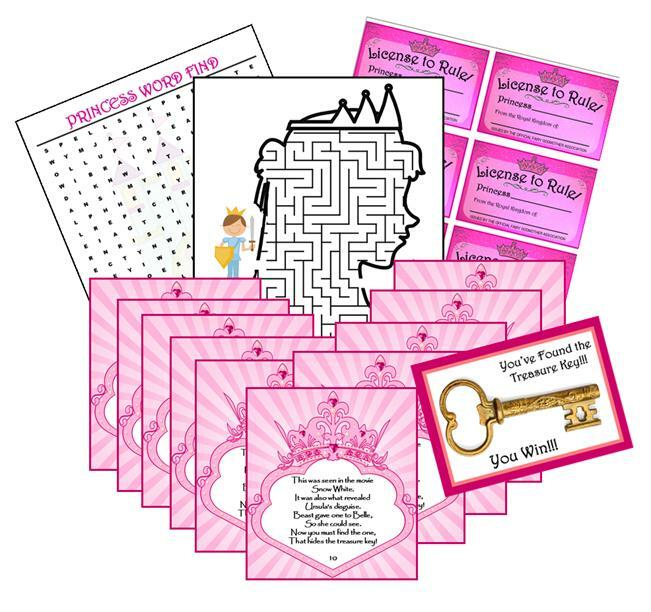 Our Princess treasure hunt game is perfect for those of you looking for a princess party game to play at your child’s upcoming birthday party. The guests with have a ball figuring out the princess treasure hunt riddles and clues and following where they lead. The last clue will lead to the treasure key. This key can be used to trade in for the grand treasure or you can choose to hide the treasure with the key. The great part about this princess party game is that each clue is in the form of a rhyming riddle that asks questions about one of the Disney princesses. Once the guests figure out the answer to the riddle, they will know where to find the next clue. The novelty of this is that although all the riddles involve princess trivia, the answer to each one is a regular household object that can be found within the house. That means once you print out the game you will not need any special props. All of the hiding locations are within the house. The hiding locations needed for this printable game are: mattress – window – fork –rug – pot – pillow – candle – apple –comb – and mirror. This was seen in the movie Snow White. It was also what revealed Ursala's disguise. Beast gave one to Belle, so she could see. Now you must find the one that hides the treasure key! Who the Princess Treasure Hunt Game For? Girls ages 4 – 10 This printable game is best to be played as a cooperative game. This means all guests work together to solve the riddles and find the treasure. 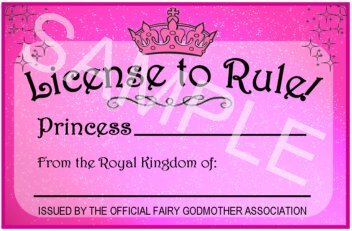 This game was created to compliment a princess theme party. What Makes this Kids Scavenger Hunt Ideal for Children Aged 4-10? The treasure hunt riddles are: Fun to read and hear – Each riddle rhymes and includes a fun question about their favorite Disney princesses. 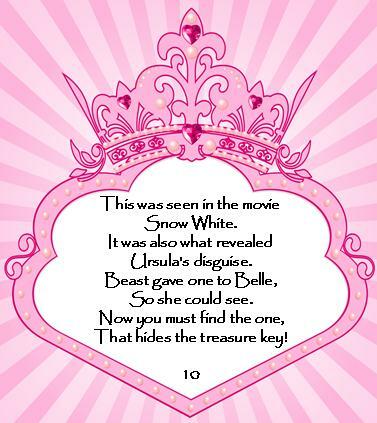 Visually Appealing – Each clue / riddle is professionally created with girly princess graphics. What’s Included in the Princess Treasure Hunt? Directions : A step-by-step guide on how to play the game and where to hide each clue. Treasure Hunt Riddles: 10 fun princess treasure hunt riddle clues all incorporating fun questions about famous fictional princesses. Princess Key Card: This is the winning game piece! These items make great ice breakers for when guests first arrive and are awaiting for everyone to make it to the party.